There is a large British business community in Frankfurt. Both the city and we have identified this community as a focus on which to concentrate our economic activities. This focus has a long tradition, as demonstrated by the town twinning with Birmingham, established in 1966. It has led to many important cooperative projects in business, education, and culture. The existing network and the related events may prove helpful to you when joining the community. Thanks to the networks between key players from business and academia, Frankfurt has become one of the most popular places for British companies to set up operations. With its activities, the British business community contributes to keeping Frankfurt attractive as a place to live and do business in. We are the trusted partner of British companies both in the phase of settlement and in later business development. Are you interested in investment or networking opportunities? Then please get in touch. 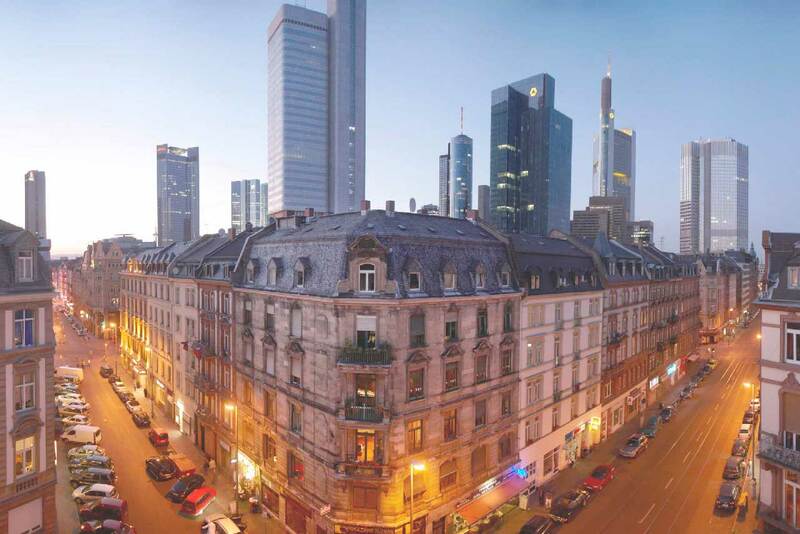 Since 1996, Frankfurt has been engaged in an active town twinning with Birmingham, the center of the Midlands and the second-largest economic hub in England after London. There is a vivid exchange between the two cities, particularly in the areas of education and culture. The Frankfurt Christmas market in Birmingham is a particular highlight. Further information on the town twinning is available here. Get to know British life in Frankfurt and feel right at home! Apart from many bilingual schools, the city boasts English-language cinemas and theaters. Numerous English and Irish pubs, which show broadcasts of football premier league and rugby matches as well as cycling, ensure an authentic atmosphere. The school offers schooling from preschool all through to A-levels. It was founded in 1999 by the State of Hessen and a number of multinational companies and accommodates up to 1,000 pupils. This English-language school also offers the full program from preschool to A-levels. Founded in 1961, it has a long tradition. At the moment, 1,800 pupils are taught here. A bilingual primary school with its own preschool. It offers education and teaching in English without neglecting pupils’ German language skills. Annexed to this trilingual full-day primary school (German, English, Spanish) are a trilingual preschool and an integrated full-day daycare center. Educational and training programs in English (among other languages) for all ages from preschool to European A-levels (baccalaureate). Frankfurt English Speaking Theatre e. V.
The English Theatre Frankfurt is the largest English-language theatre on the continent. Plays in English have been performed here since 1979. Its equipment is state-of-the-art and it has a capacity of 300. The International Theater Frankfurt, too, regularly features English-language productions. The British Bookshop has one of the largest selections of literature in English. Any book released by British or American publishing houses can be ordered and delivered within a short time. The German-British Society facilitates German-British dialogue in cultural, political, social, and business matters. It convenes conferences with decision-makers from both countries and organizes events with British guest speakers. New businesses and British newcomers in particular appreciate the network and the accumulated knowledge offered by the British Club of the Taunus. It is a social club with members not only from the UK, but from a variety of English-speaking nations. The social life of the club is very active.